Bath salts are one of those simple pleasures that can feel incredibly indulgent. A warm bath full of healing ingredients soothe the body while the scents do their magic to the mind. 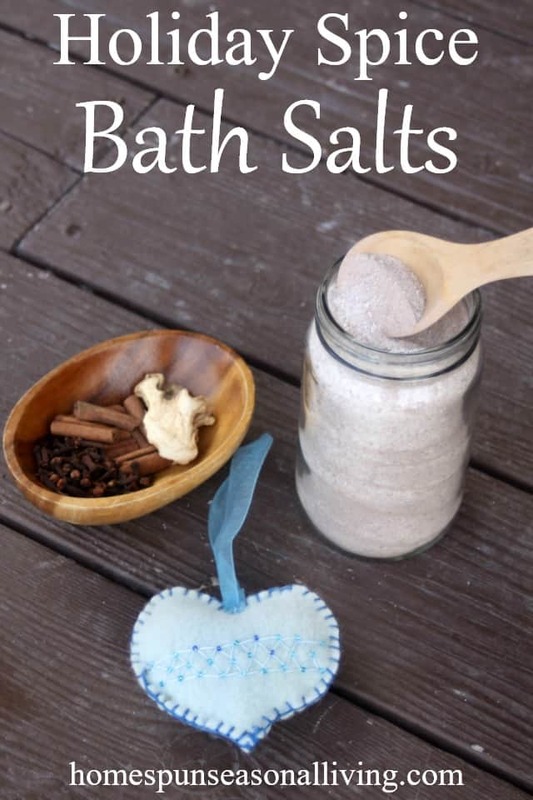 These holiday spice bath salts are intended to do all of this and more in an easy and frugal DIY project. The ingredients in these bath salts are designed to help the body detox as well as relax. The salts and baking soda help pull toxins from the body. Baking soda helps keep the water softer and Epsom salts have long been revered for their ability to relieve sore muscles. While I imagine one could use essential oils in this recipe, the ground spices provide the same scent at a fraction of the cost. The spices also add a nice color to the finished bath salt for a beautiful container in the bathroom or gift basket. These particular spices are the ones that remind many of us of the holidays and are often associated with good, relaxing memories making them ideal for a bath soak. 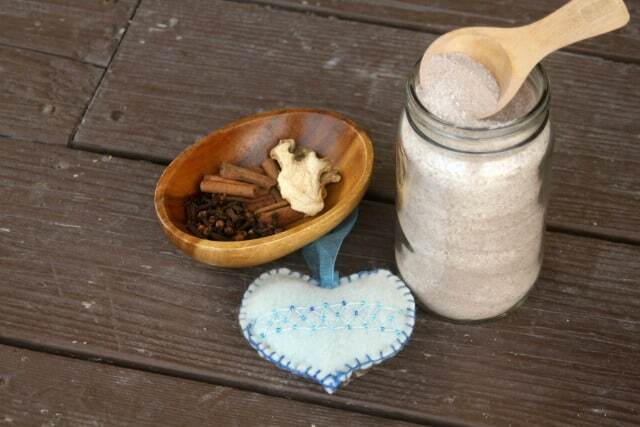 Make and use these bath salts for yourself. Use them as a way to relax during a busy week, as a way to detox and rest. It's a simple thing but part of a self-care routine that can go a long way into keeping the brain and body running well. Bath salts make an excellent gift. Make giant batches and divvy it up. Present them with cookies or other gifts for a loving gift basket or care package. Put the salts in a cute jar. Find one at the thrift store or simply upcycle something already on hand. A basic canning jar will work just fine. Tie a cinnamon stick and a little scoop or spoon to the jar. Add a simple note and label with what’s inside and how to use it. For shipping, keep the package lighter by putting the bath salts in a tightly sealed plastic bag. Whisk everything together. Store in airtight jar. To Use: Add 1/4 Cup under the running bath faucet of warm water. Let the filling action dissolve the salt into the water.